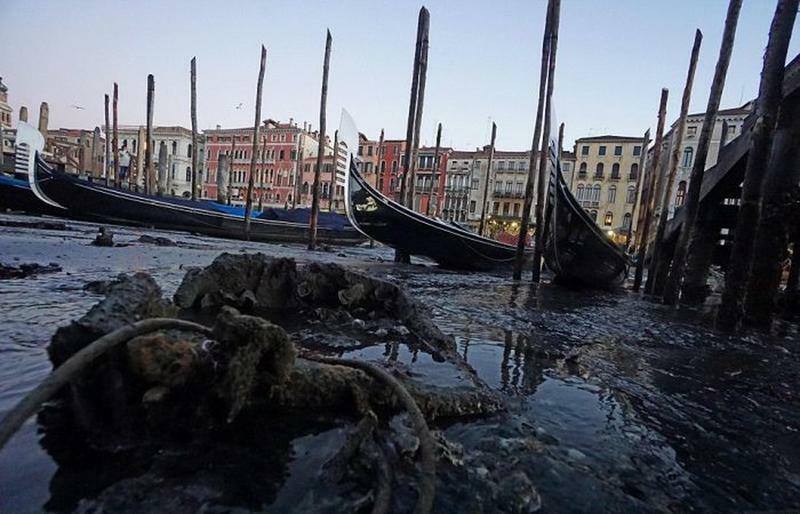 For two years in a row, low tides in Venice, well-known for its gondola rides, have dropped to levels so low that it has made the city almost entirely without water. 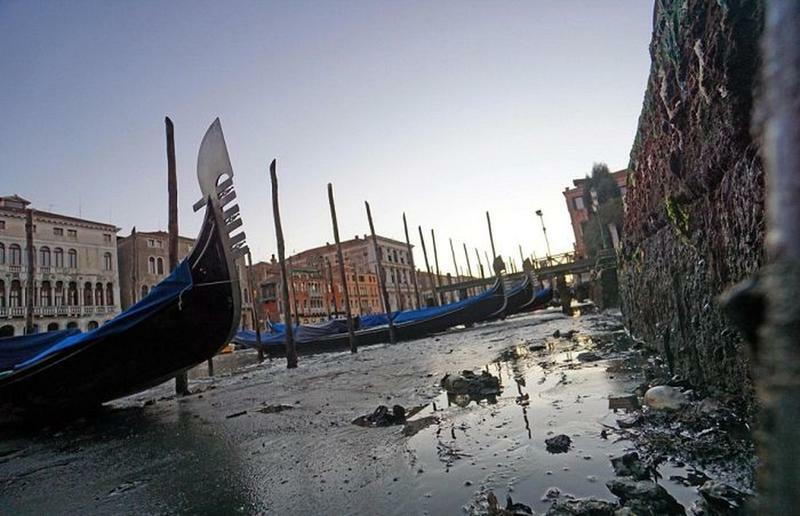 Tourists who are expecting a fancy gondola-ride through the city’s splendid blue-green canals have found their plans thwarted. Without water, several of the city’s primary means of traveling have been left on the canal's muddy beds. 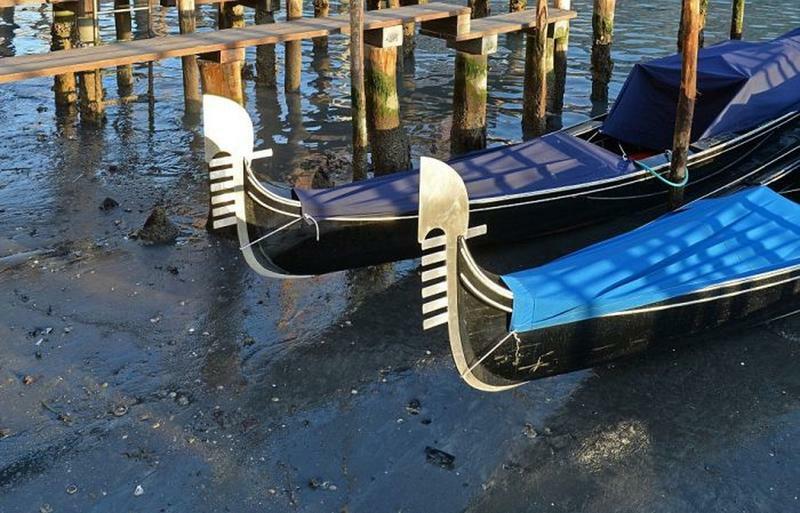 Around this time of the year, low tides are common. But the water levels have gone down more about 70 cm below the usual. This phenomenon exposed the city’s filth. Years of inefficient maintenance on waterways is showing through the huge buildup of mud and silt around the canals' edges, immensely reducing its depth but increasing the likelihood of impeding propellers snagging on floating junk. The below normal water levels have also unveiled the crumbling brickwork at the base of many historic buildings. 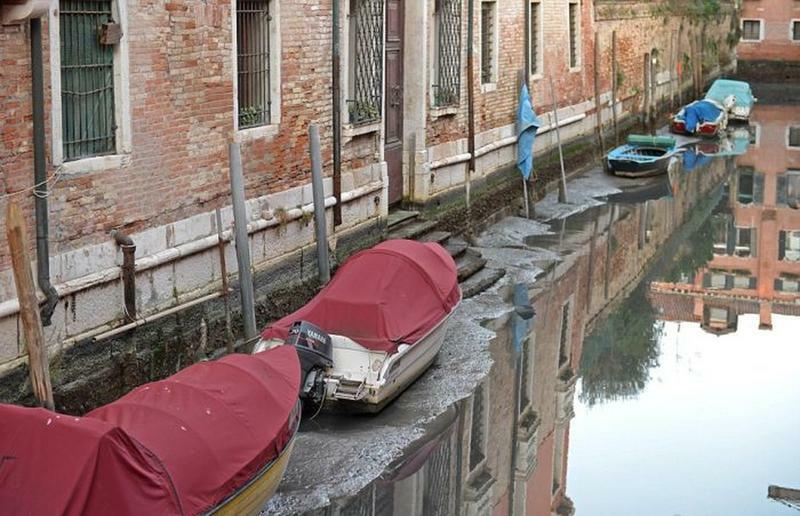 Venetian authorities have regularly shown a lackadaisical demeanor when it came to canal maintenance. Dredging the canals initially started just recently around late 1990s, roughly after half-a-century of neglect. The city also needs to have a modern sewage system. 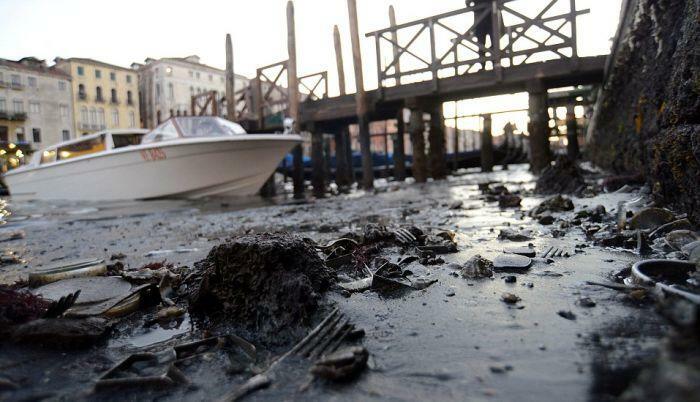 Historically, all garbage produced by humans were dumped into the canals, although some larger buildings are mandated to carry some kind of sewage treatment prior to dumping these wastes into the canals. 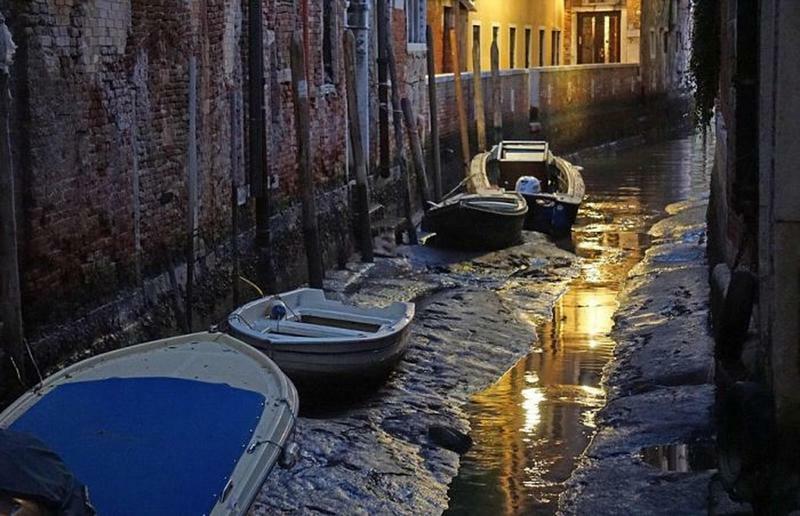 Although few palazzos have their own septic tanks, there is somehow a certain amount of leakage, giving Venice its characteristic and sometimes overpowering stench. 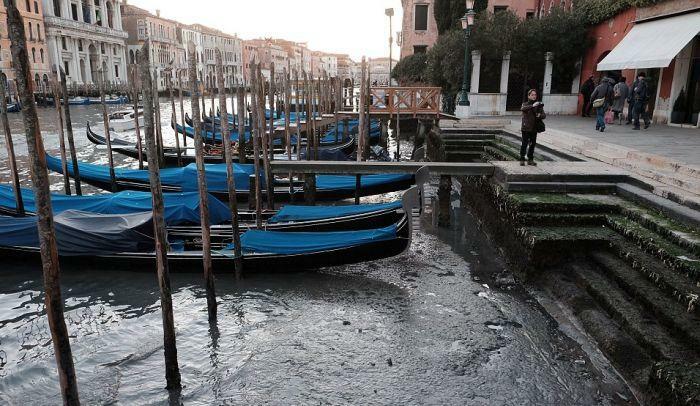 Recently, Venice city council has been spending lesser amount for canal maintenance. 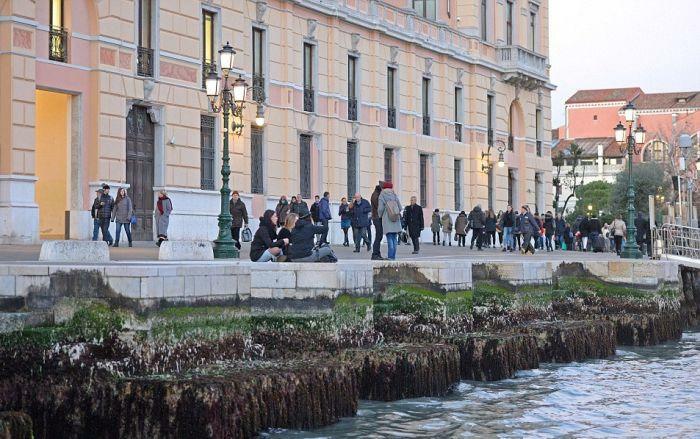 Instead, funds were allotted to complete the €5.4 billion MOSE tide gates to protect the Venetian lagoon from the incessant flood tides which has been plaguing the city. For fifty years, most industries in the area are recklessly pumping ground water from underground aquifers making the city slumped by some 9 inches more. The sinking has remarkably decreased in the past few decades. However, sinking is still at the rate of 1-2mm per year. 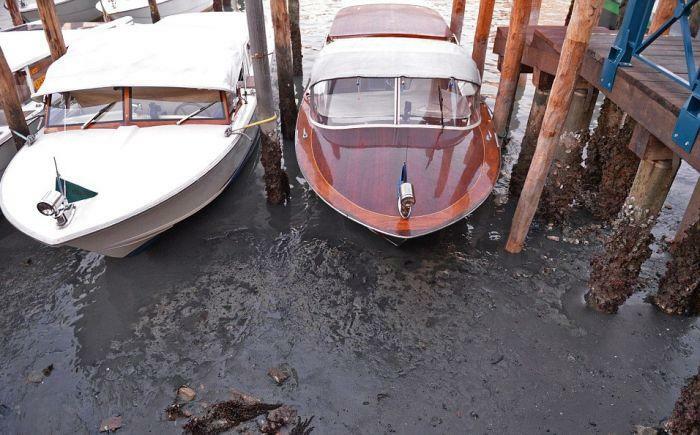 Under these situation, drying up of the city’s canals is most strange. The chronicles of Venice began around 400 A.D. According to history, people from the neighbouring mainland settled in the Venetian Lagoon seeking refuge from the savage Barbarians who brutally conquered Italy when the Roman Empire was overthrown. Shortfall of both ships and knowledge of the sea, the invaders were unable to follow those people who fled to their new settlement. About two or three miles of shallow water that separates Venice from the mainland Italy, this had protected the settlers from intruders for almost 1400 years. And so began the vast mercantile empire of the Venetian Republic -- a city established from fear -- was soon to be proclaimed as the most dazzlingly beautiful city in the world. The Venetians are considered as great doers because alone, they conquered the malaria-ridden swamps to raise a city from nothing. 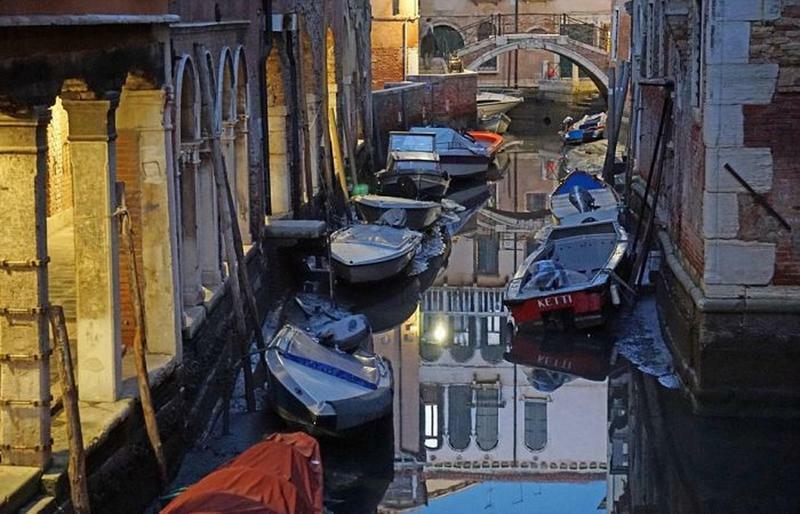 In the 20th century, Venice started to subside when several artesian wells sunk deep into the periphery of the lagoon to extract water for local industry. It was realised that drawing water from the aquifer was the main cause. The sinking significantly slowed down since artesian wells were banned during 1960s. Clearly Global Warming and the rising oceans. Pay those trillions folks and STOP the rising seas.